Powerful, web-based collaboration tools to improve teamwork. Share plans, layouts, and work schedules instantly with team members in the same office or around the world. Create wireframes, flowcharts, org charts, mind maps, and more with Cacoo. Backlog | Plan. Manage. Track. Keep work from slipping through the cracks. 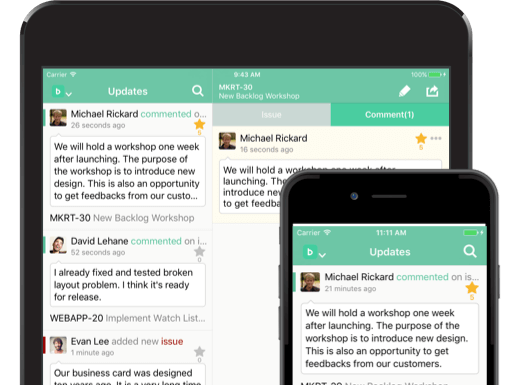 Backlog makes it easy to manage multiple tasks, share project updates, and submit requests to other teams. Real-time progress tracking for unmatched transparency. Typetalk | Chat. Connect. Share. Chat anywhere, anytime, with anyone. 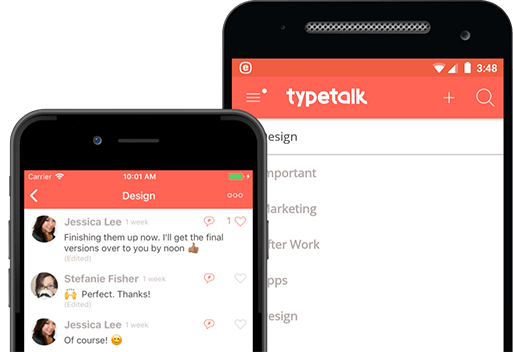 Typetalk is a team communication tool for sharing information, ideas, and files. Let's end email tag forever.